Homemade Chicken Marsala is a favorite dinner at our house. 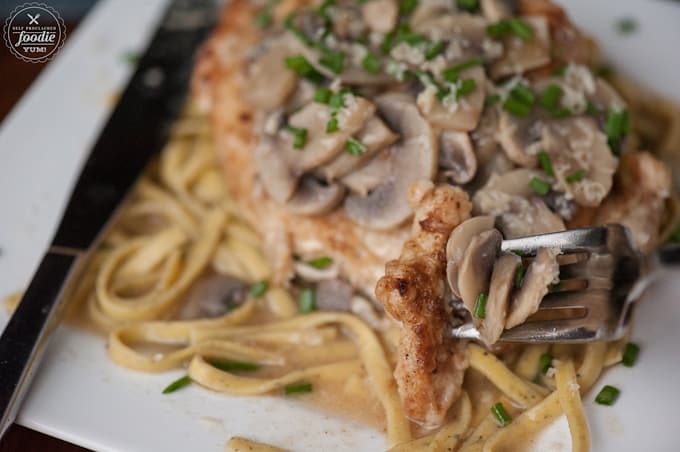 Not only is this Chicken Marsala recipe made with tenderized lightly breaded chicken breasts, but there’s a most flavorful mushroom wine butter sauce. YUM! Serve over homemade pasta and you’ll have the best dinner ever! I had a craving. For whatever reason, I wanted chicken marsala and I wanted it bad. The thought of perfectly tender chicken smothered in a mushroom wine butter sauce… well, let’s just say I couldn’t get the idea out of my head. What can I say? When this girl has a craving, the only way to stop it is to satisfy it. What is chicken marsala made of? 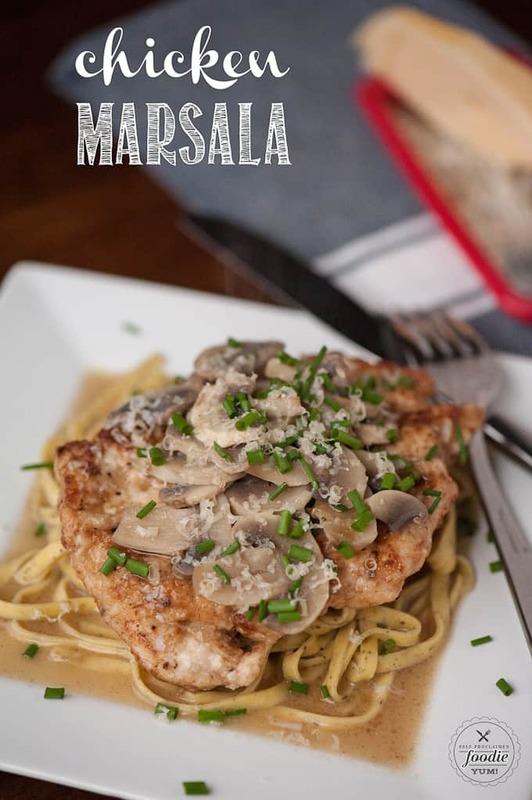 My recipe for chicken marsala consists of a tenderized and lightly breaded chicken breast that is cooked to golden perfection. 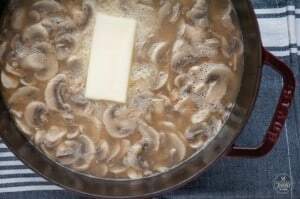 That fork tender chicken is then served with a sauce that consists of Marsala wine, chicken broth, sliced fresh mushrooms, and lots of butter. Now, melting an entire cube of butter into this sauce may seem a bit extreme, but its not. It’s nothing but good. 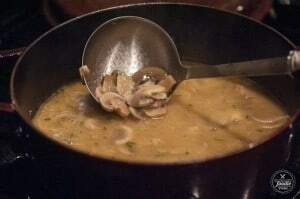 The trick is to reduce the wine down by half if not more, then cook up those mushrooms in the reduced wine with some chicken stock, and then let that butter melt until its oh-so-good. Fresh herbs are added for flavor and color. This is a relatively easy recipe to make and is, in my opinion, one of the best ways to serve chicken for dinner. Chicken Marsala can be served on it’s own or with mashed potatoes or pasta (my preference). Ideally, you want to find a dry Marsala wine to use for this recipe. Marsala wine is an Italian wine that typically has a deep smoky flavor. 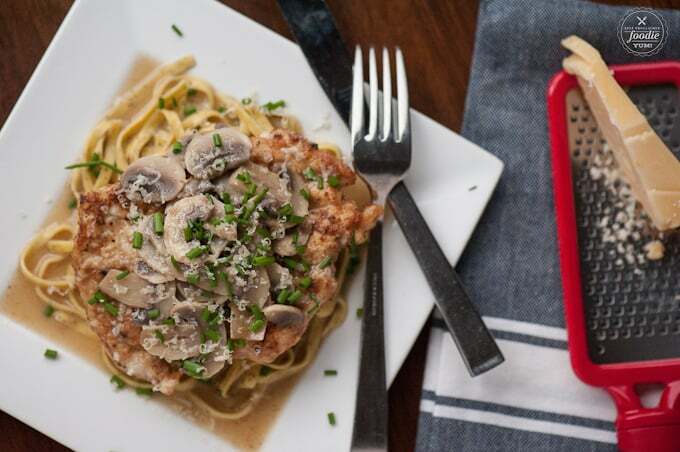 It is the perfect wine to cook with when making a savory dinner like this Chicken Marsala. Interestingly, most Marsala wines made for cooking are actually the lowest quality wine available. I typically (and frequently) substitute a good dry wine for Marsala. Why? Because I usually have an open bottle ready to go. Since I don’t drink Marsala wine, I only have it on hand if I plan to be cooking with it. And, because it’s more likely that I’ll have an evening where I’m sipping on a glass of wine versus and evening where I’ve fully prepped and prepared for my dinner recipe and actually have all of the necessary ingredients on hand… well, dry white wine usually wins. You can use a dry white wine in place of Marsala wine, but you just need to be aware of the differences. In general, Marsala wines have a unique flavor profile and sweetness, along with a higher percentage of alcohol per volume when compared to a dry white wine. Since the wine in my recipe is cooked down so much and mixed with so much butter and tender mushrooms, I really can’t tell which wine I’ve used when the recipe is complete. I’ve made Chicken Marsala with both Marsala wine and dry white wine and love it both ways! 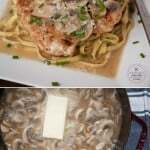 How do I thicken chicken marsala? 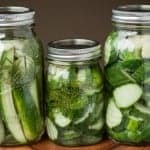 This recipe actually yields a very thin sauce. Even though you cook it in the pan where the chicken cooked which was lightly breaded with flour, and the volume is cooked down by half, the sauce is still relatively thin. This is my preference, as it is meant to be a sauce and not a gravy. If you prefer a thicker sauce, you can add some of the broth to one tablespoon of corn starch in a separate dish. Whisk that together to make a slurry, and then add it back to your broth. Stir the sauce over heat to help thicken and then serve. Add this delicious chicken with mushroom sauce to some pasta with fresh herbs and finely grated cheese and you have one satisfying meal. Enjoy! 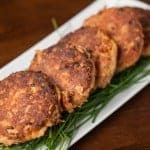 Love chicken recipes for dinner? 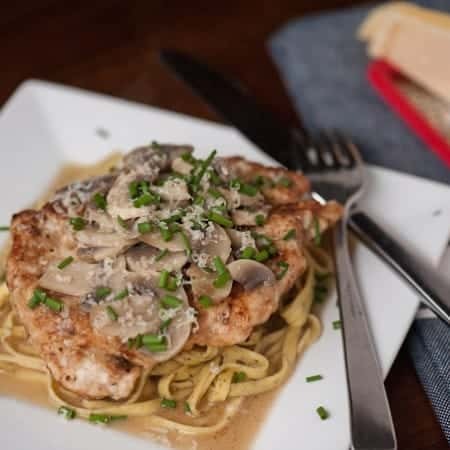 Homemade Chicken Marsala made with tenderized lightly breaded chicken breasts and a mushroom wine butter sauce is a favorite dinner at our house. 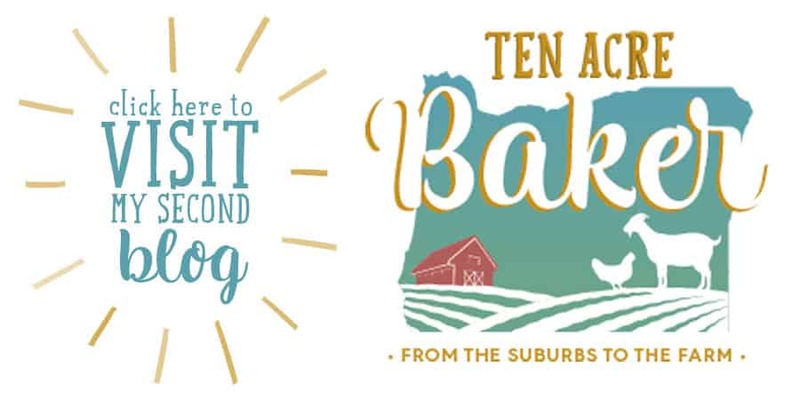 To prepare the chicken, tenderize by placing inside plastic storage bag and beating with a meat tenderizer or rolling with a heavy rolling pin. Season the flour with salt and pepper. Coat the chicken with the flour mixture and shake off any excess. Heat a large frying pan or dutch oven medium heat and add enough oil to coat the bottom of the pan. When the oil is hot add the chicken and cook until golden brown, 2 to 3 minutes each side. Remove from heat and transfer to a plate tented with foil to keep warm. Add the marsala wine to the pan and scrape bottom of pan while cooking over medium high heat. Continue cooking the wine until the volume decreases to about a forth of what you added, then add the sliced mushrooms and chicken broth. Allow to heat through. Stir in the butter and finish by spooning over the cooked chicken. Serve with pasta or mashed potatoes. Garnish with fresh herbs or cheese if desired. Note: Mixture will be very liquidy which is how I like it because I combine with cooked pasta, but if you'd prefer to thicken it, you can combine equal parts (about a tablespoon each) of corn starch and water in a small dish and whisk it into the mixture to thicken it. 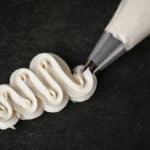 This post was originally created in March 2016 and has been updated with more fun facts and tidbits for your reading pleasure. This is such a tasty, elegant dish! No leftovers in my home! Chicken marsala is such a classic recipe and it’s been forever since I’ve had it. 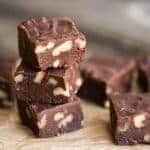 Will definitely have to give your recipe a try! Chicken Marsala is one of my favorite Italian dishes to make. Your recipe looks great!